Truck and tractor trailer wrecks often lead to catastrophic injuries. Our experienced team of truck accident lawyers will work to hold negligent truck drivers & truck brokers accountable for their actions. We are a national law firm that represents clients across the United States. Our attorneys have over 50 years of experience in representing accident and injury victims. Whether you were injured in a truck accident in Jackson or Hattiesburg, or on one of Mississippi’s major interstate highways such as I-20, I-55, I-59 or I-220, call the Diaz Law Firm for a free consultation. There are many reasons for truck accidents, such as drivers fatigue, dangerous road conditions, and hazardous cargo, as well as trucking company or truck broker negligence. Such negligence, when involved with 18-wheelers and other trucks, can cause serious injuries and death. Our Jackson truck accident lawyers have the knowledge, skills and experience to fight for compensation for injured victims and their families. If you or a loved one has been injured in a trucking collision, please contact us today at 601-607-3456. We work on a contingency, or no-win no-fee, basis, which means you pay us nothing until we collect compensation for you. 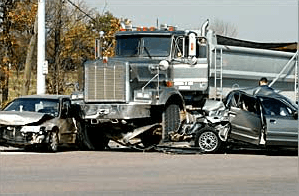 If you have been injured by a truck through no fault of your own, please contact the Diaz Law Firm and speak to a truck accident lawyer in Jackson MS today. You can reach us online or by calling our toll-free number at 800-459-2222.